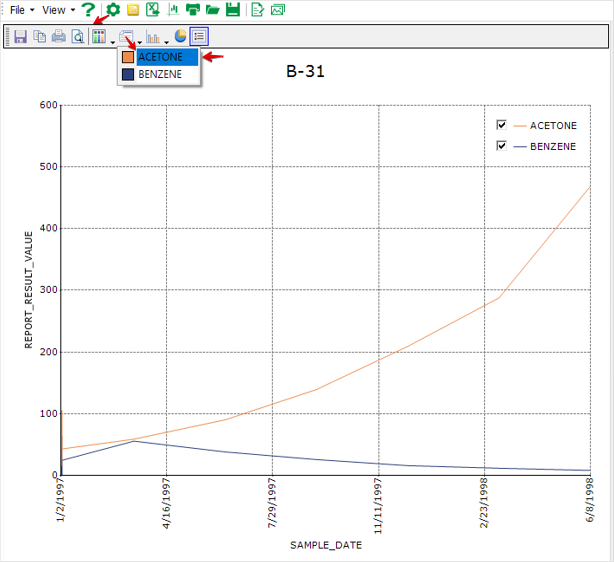 Follow the steps below to display data point labels. 2.Click Turn On/Off Current Chart Editor tool . Click the Edit Style tool on the Chart Editor toolbar and select a chart series to be edited. 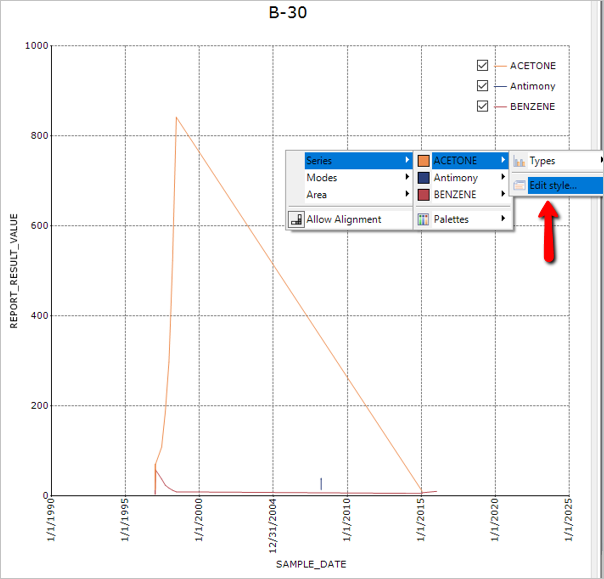 3.Select Text in the Chart Series Style window. Check Display Text and click OK. 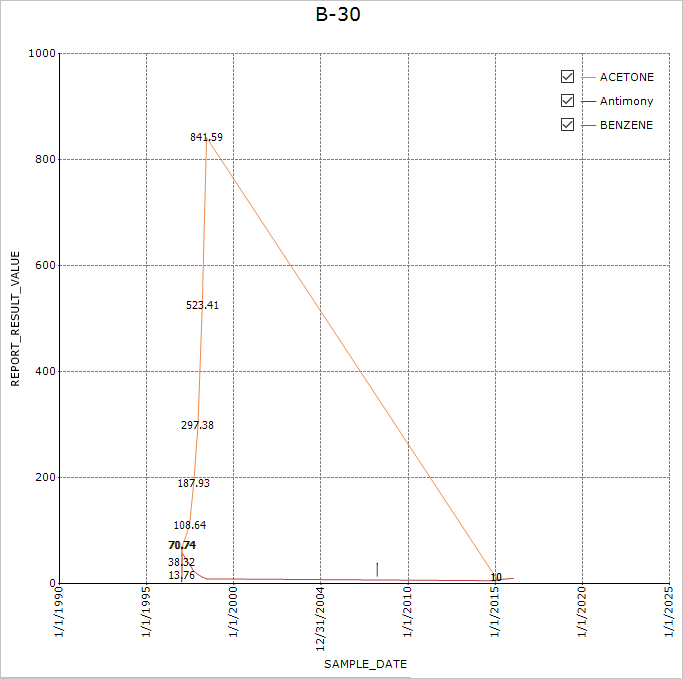 The Y axis values are displayed as the labels at the data points (See two images at the end of this article). •To adjust the font and positions etc. 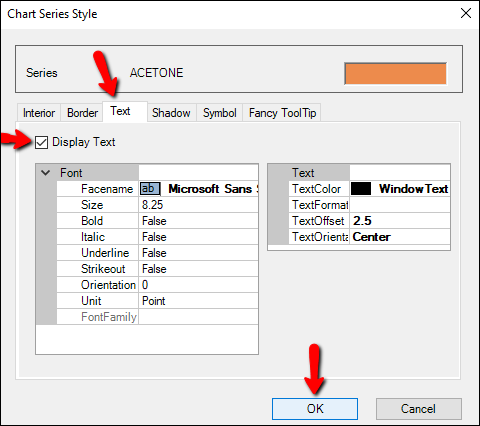 of the labels, modify the properties under Font and Text (See below). •The highlighted label (70.74) indicates a duplicated value (See below). •Adding chart labels is conducted to one chart series of the active chart at a time. •Data point labels are not supported in Excel exports, but are included in image file exports.